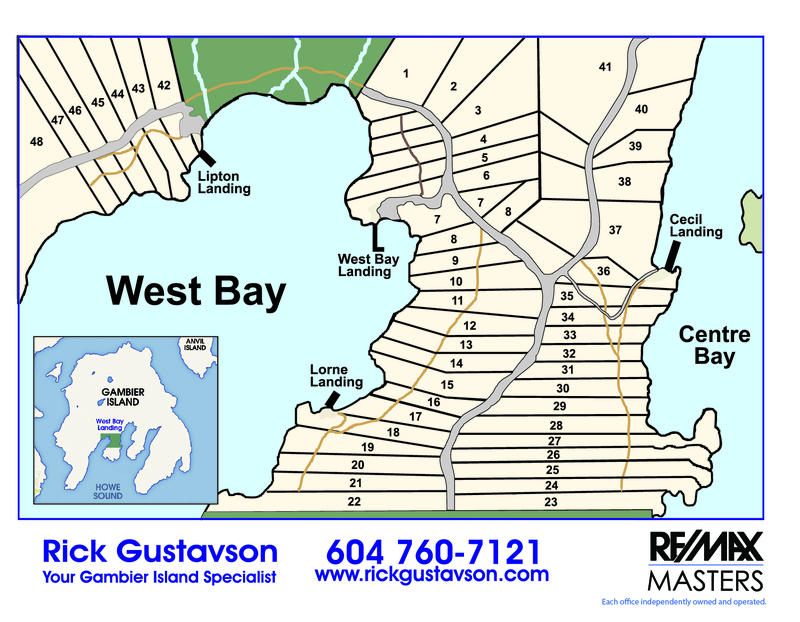 West Bay Landing, community on Gambier Island is a much sought-after address. This rare opportunity is for a 4.99 acre 475 ft (approx.) high bank waterfront property with breathtaking views of Center Bay and the North Shore Mountains. There are several easy to develop building sites, zoning permits 2 dwellings, there is no requirement to build so enjoy camping as you plan that dream cottage. The property has power near by, its own drilled well, and is very private and sunny.The development has 4 common docks that all owners may use, a majority of the owners have installed their own private docks, thus the 4 common docks are very lightly used.The “Cecil Landing” common dock located beside lot 36 would be the logical dock for lot 40 to access. The West Bay Landing community consists of 48 properties the majority of which have been developed, loved and enjoyed. All of this a quick 30-minute private boat or water taxi from Horseshoe Bay West Vancouver. Escape Vancouver!